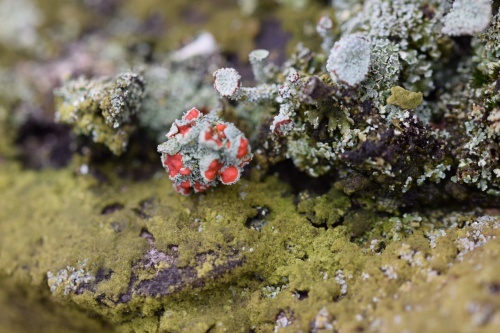 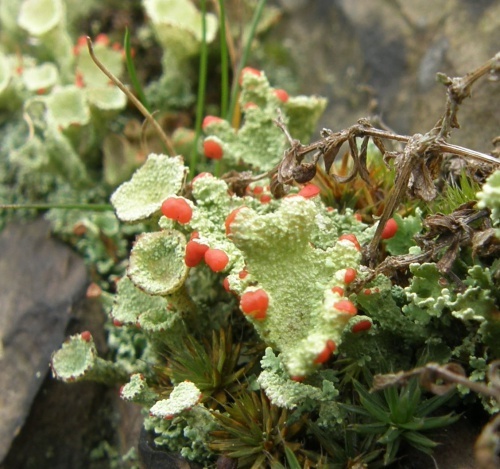 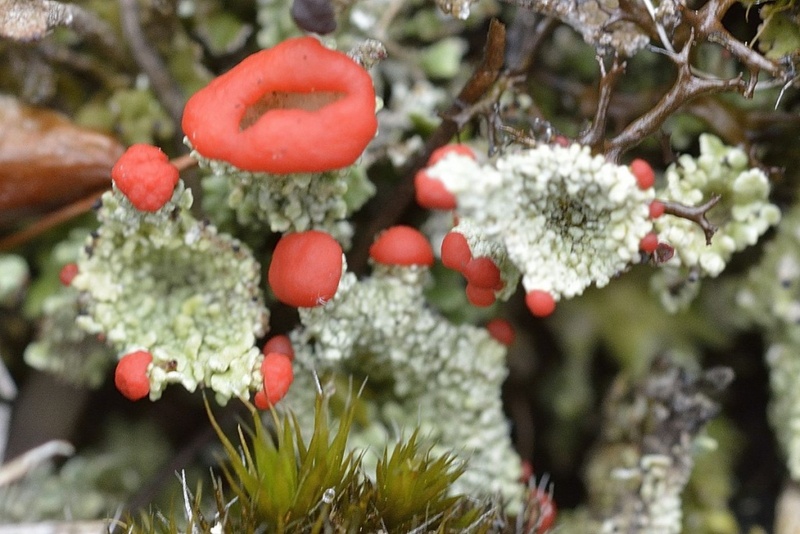 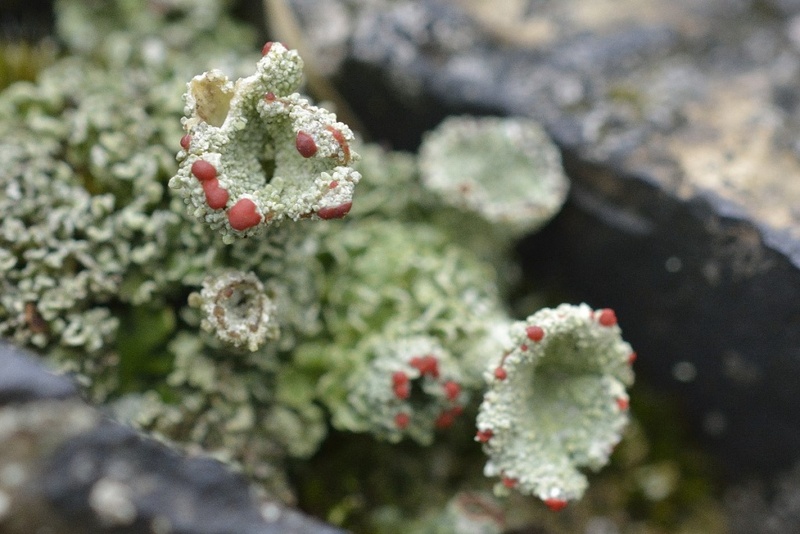 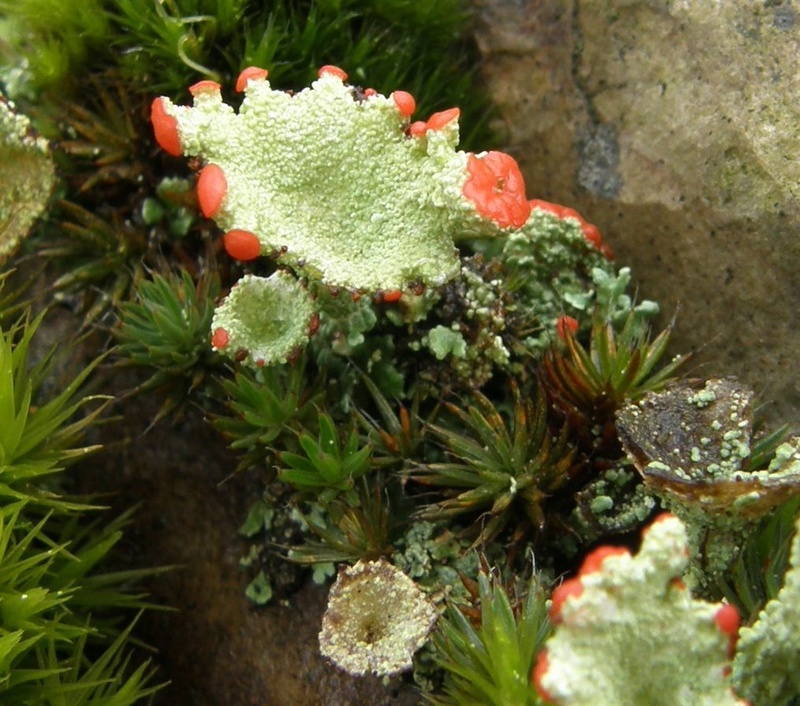 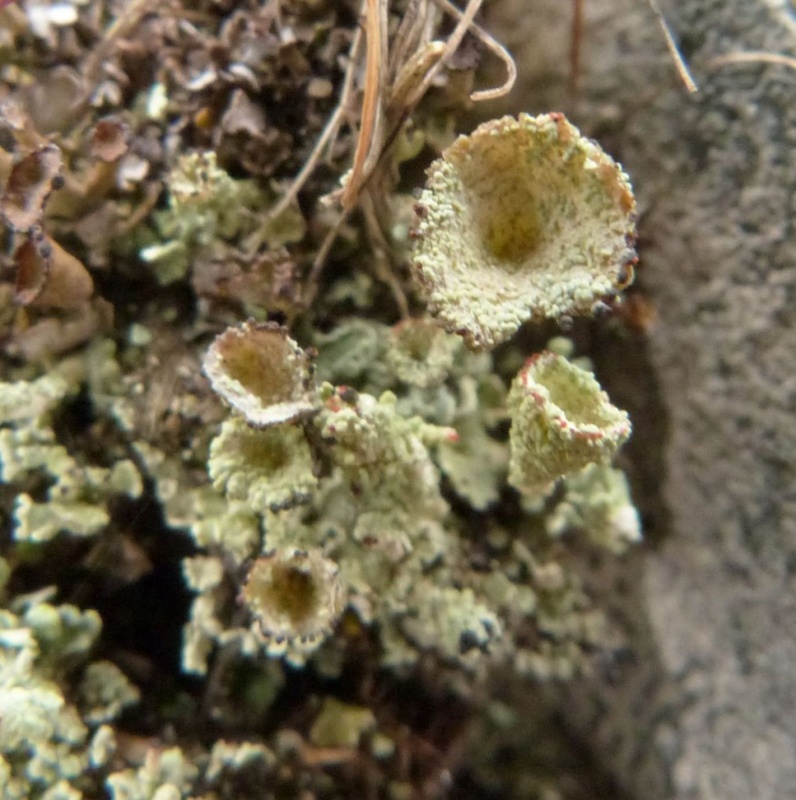 The protruding stems of this lichen are irregular in shape and bear yellow-green cups which have a granular appearance inside and out. 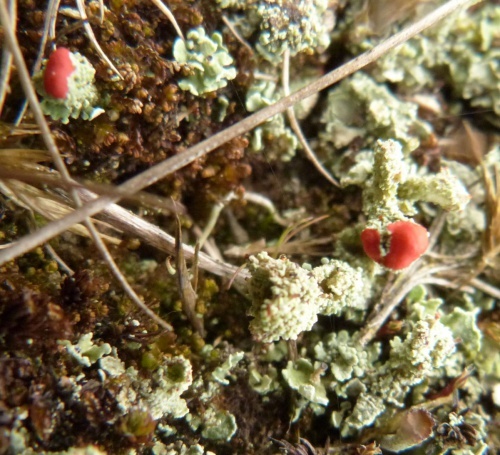 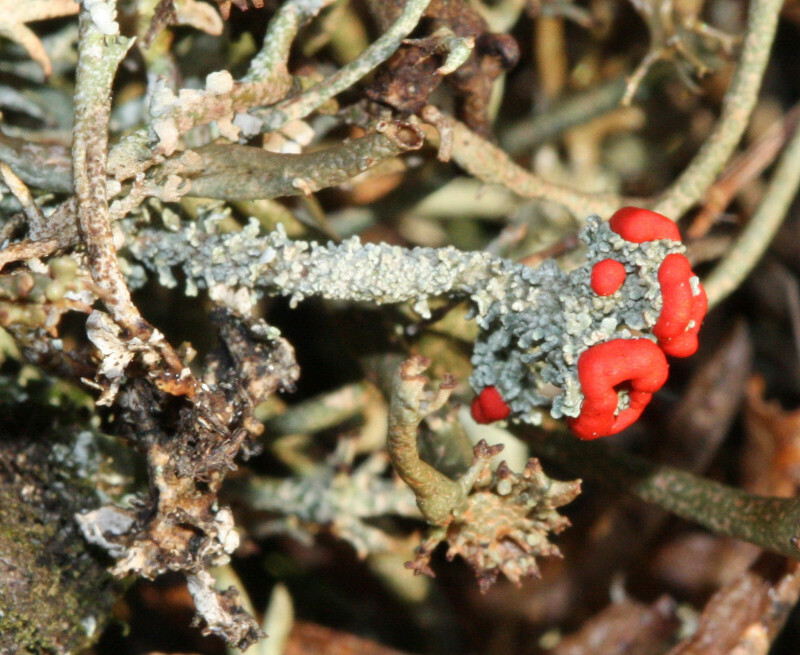 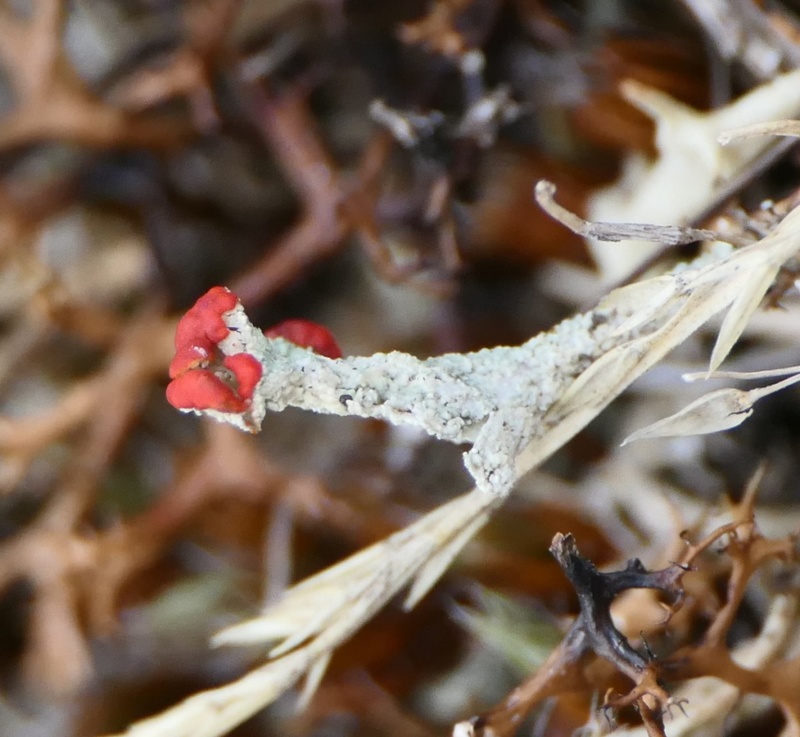 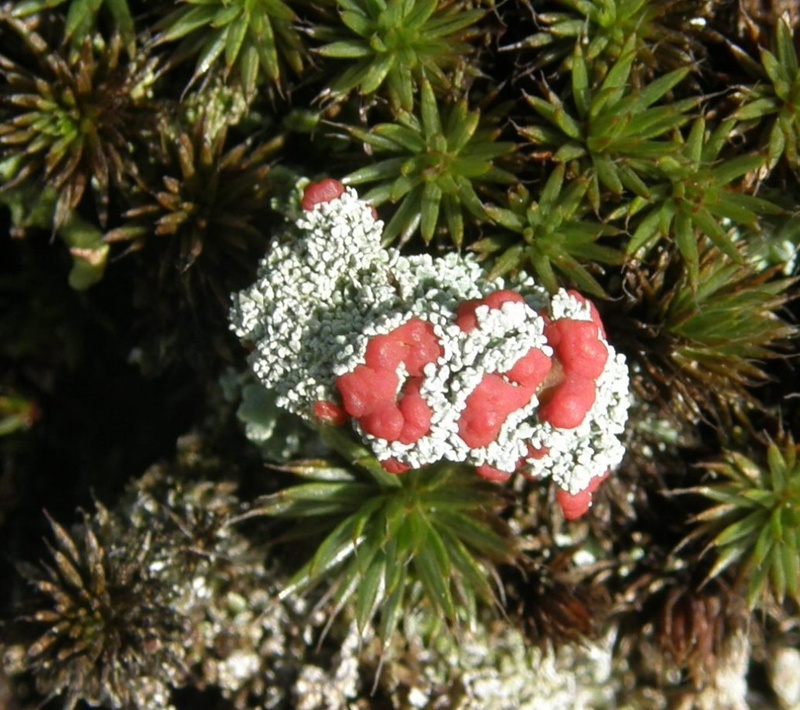 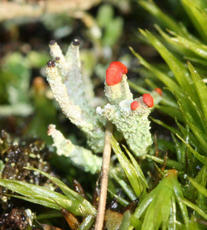 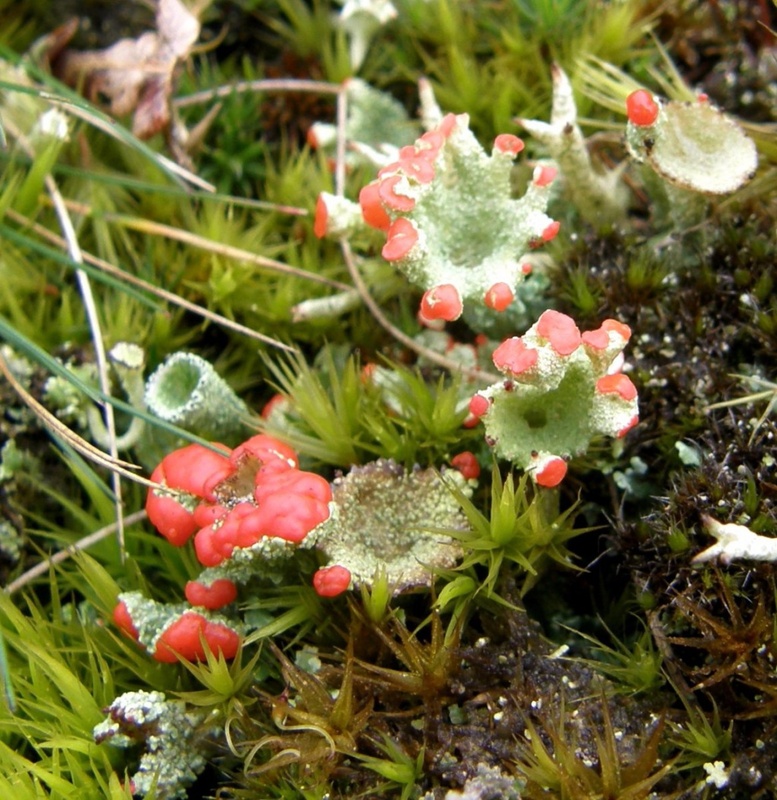 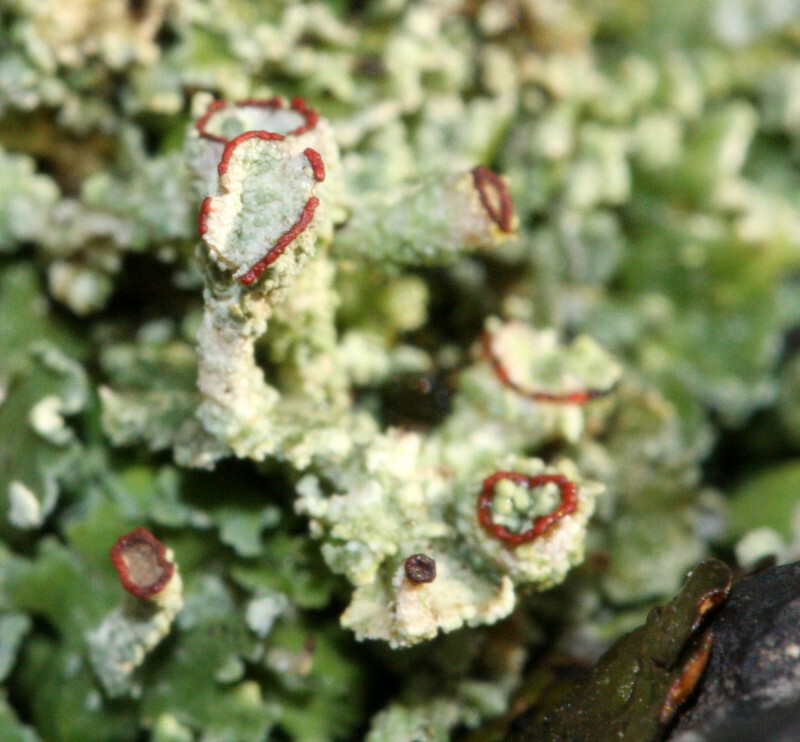 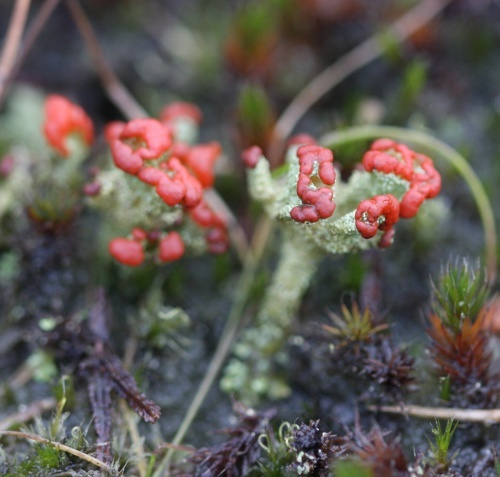 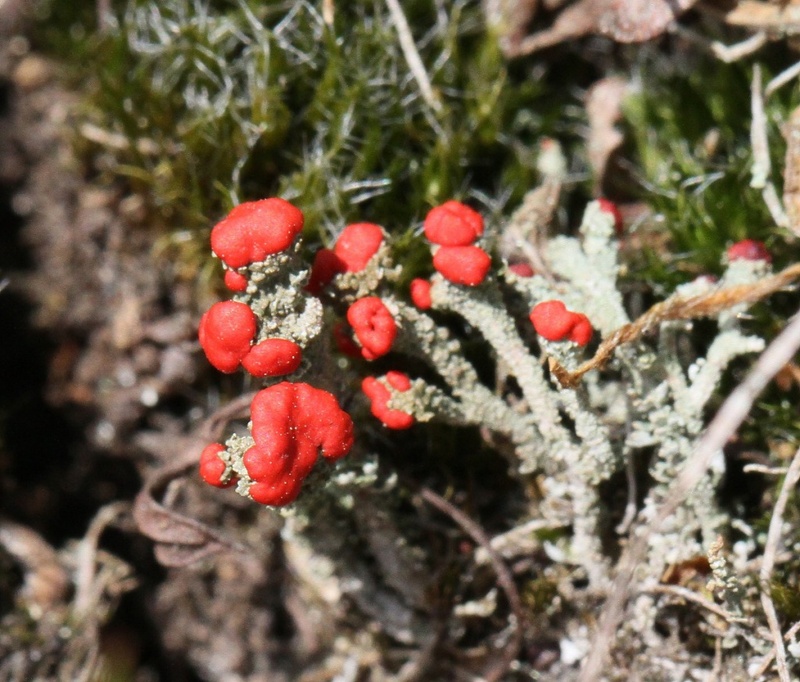 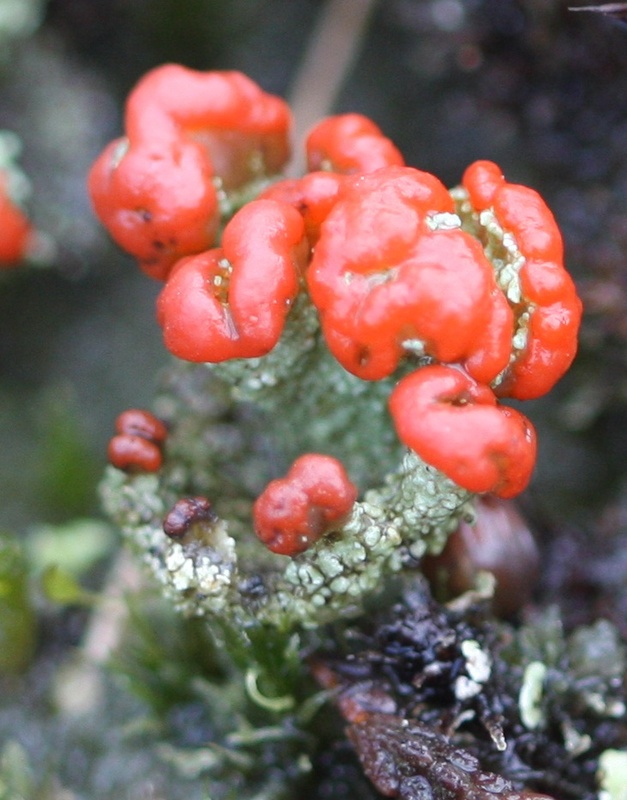 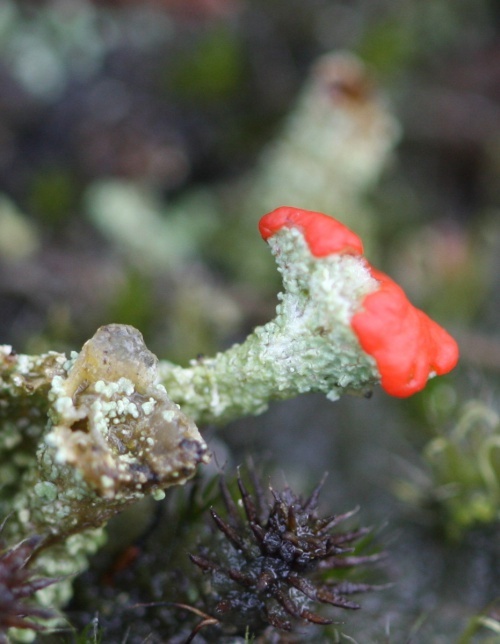 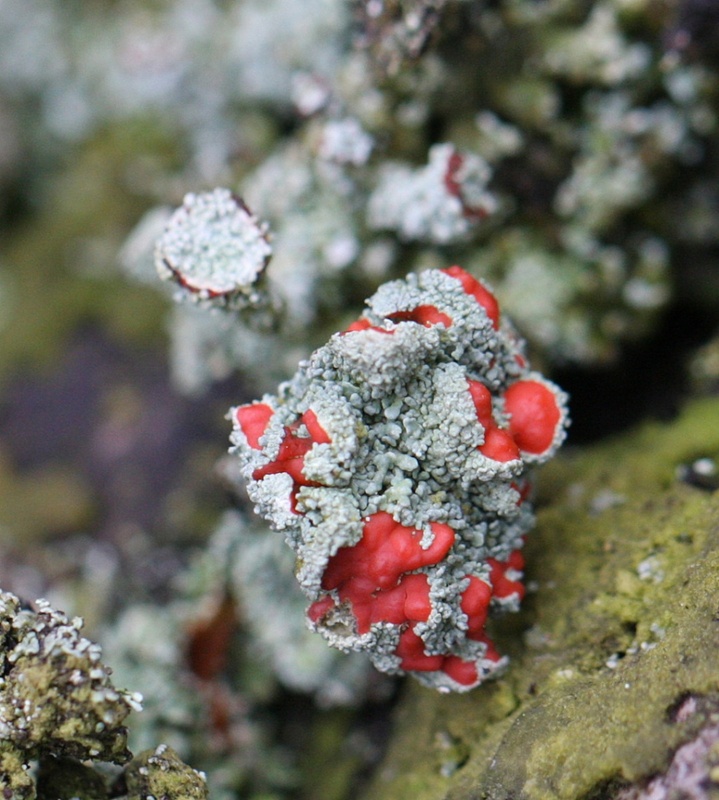 The apothecia are bright red and conspicuous. 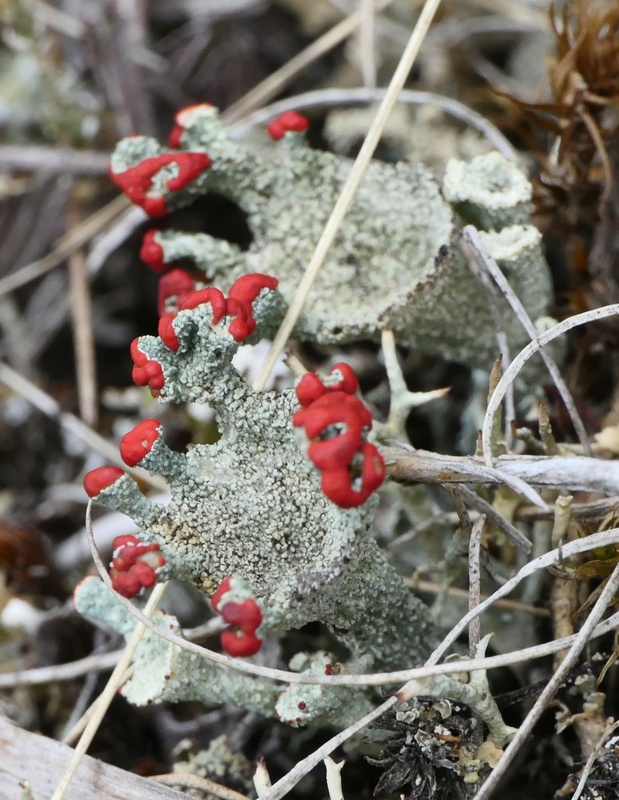 On heaths, dunes, rotting stumps and in rock crevices.